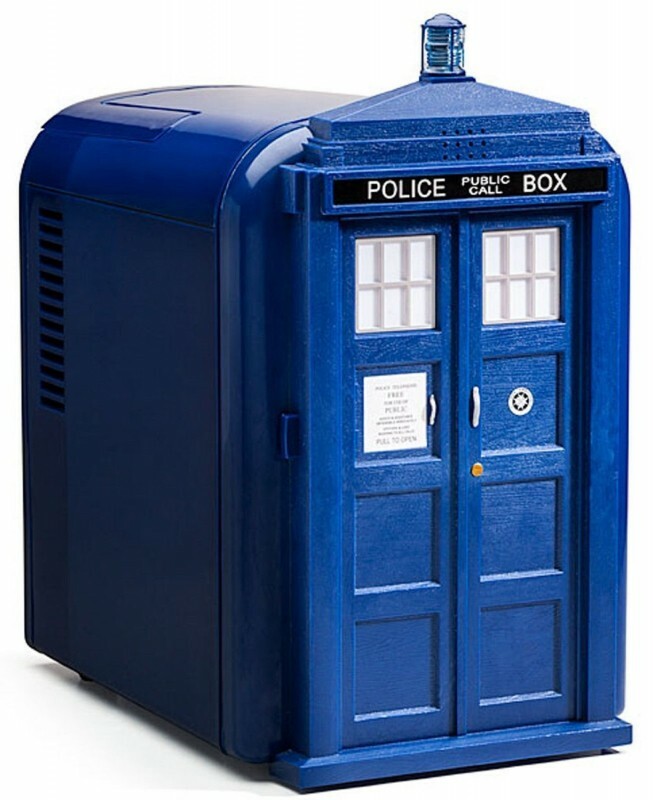 This mini cooler is in the shape of Tardis, made famous on Doctor Who. 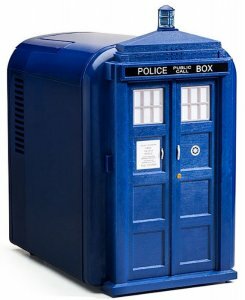 It has a cool & warm function, holds up to 6 cans, and also makes the Tardis sound & flashing. Approximate cooling capability is 32-44 degrees, and approximate heating capability is 131-149 degrees.